This article is the third in a series on WRI’s latest report, Thirsting for Justice: Transparency and Poor People’s Struggle for Clean Water in Indonesia, Mongolia, and Thailand. 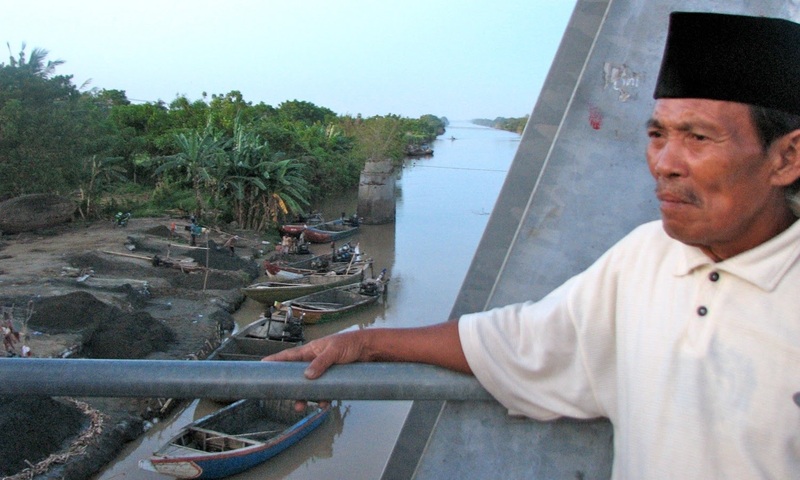 This post focuses on Indonesia, where industrial runoff is degrading the water fishermen depend on. After years of trying to engage the mills and the Indonesian government through protests, meetings and even the courts, people in Serang are still fighting to restore the Ciujung and protect their livelihoods. Yet even after a 2013 government audit of the main waste contributor found multiple problems with its practices and violations of water pollution laws, the community is still struggling. They want answers about the pollutants contaminating their river and whether the companies are releasing more pollution than allowed under wastewater discharge permits. Adi is not alone. Many communities throughout Indonesia and Asia are struggling to get the information they need to address the impacts from rising industrial pollution and weak enforcement of pollution control laws. As documented in WRI’s new publication, Thirsting for Justice: Transparency and Poor People’s Struggle for Clean Water in Indonesia, Mongolia and Thailand, these Asian governments have strong transparency laws that clearly require the disclosure of environmental information. But inadequate implementation and ineffective disclosure mechanisms are preventing poor, often marginalized community members from getting the local, facility-specific public health information they need. Indonesia is trying, despite limited budgets and resources. It passed a Right to Know law in 2008 so citizens could request information from the government, implemented a public ratings program showing how industries comply with pollution control laws, and mandated the release of government environmental impact assessments, which set forth standards for private companies and monitoring requirements. It’s developing a public, online environmental database. Despite these efforts, information on local water quality is still not reaching communities like Tengkurak. Governments in Asia and across the world have recognized access to information as an essential prerequisite for participation and accountability. It can help build public trust in government decisions; ensure proper compliance and enforcement of laws; tailor solutions to local socio-cultural and environmental conditions, and increase a sense of ownership over the process and outcomes. Sharing information clearly with communities can inspire citizen activism and help the government as it works to identify and correct environmental problems. But without meaningful access to information, local communities are handicapped. For Adi and other communities throughout Indonesia, Mongolia and Thailand, this lack of access is hurting their ability to protect their livelihoods and earn a living. Without the power of knowledge, they can’t hold local government and companies accountable for the impacts of contaminated water, or participate in government decisions about pollution control and enforcement that could help clean up the river. The report cites numerous examples. In a village in Mongolia, herders fear that mining companies are polluting the Tuul River and making their livestock sick. In Thailand, independent researchers have confirmed that wells in the industrial community of Map Ta Phut are contaminated with mercury and arsenic. But without documentation of water contamination or information about the companies causing the pollution, residents don’t have the facts they need to stop them from violating their permits. Governments, civil society and international donors have many options to improve responsiveness on water issues. They can release local water pollution information in non-technical formats, like radio broadcasts, pictures and signs that citizens can understand without translation or internet access. They can organize local environmental data and publicly provide accurate, up-to-date information about water use, health risks, and types and amounts of pollutants entering waterways, as well as company-specific data. Civil society organizations and international donors can advocate and invest in initiatives that promote better access to water pollution information. For now, Adi watches his catches dwindle and his pond degrade. For citizens like him throughout Asia, implementing these recommendations will help ensure he gets the local, facility-specific and public health information he wants. It will ensure he has the power to fight for water justice.